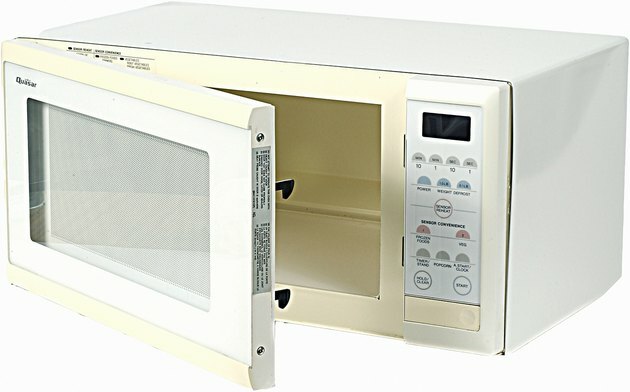 As a key component of a microwave oven, the magnetron creates the microwaves. Microwave ovens work by shooting waves of energy into the foods and drinks. Then, the water molecules in foods and drinks absorb the energy of the microwaves and get hot. Without a properly functioning magnetron, the oven cannot heat or cook. Test the magnetron to ensure that it works as expected. Discharge the microwave's capacitor. Unplug the microwave, then touch one end of the screwdriver to one of the chassis terminals and slowly slide it to the second chassis terminal. Hold the screwdriver at the second chassis terminal for a few seconds. Expect to hear a popping noise. Use the screwdriver in the same manner to create a short-circuit between the capacitor terminals and the chassis. Identify the magnetron and then place masking tape on each wire and label it. Record on the masking tape where each wire goes on the magnetron. Touch each probe on the ohmmeter to the terminals on the magnetron, while having the ohmmeter set on the lowest resistance scale. Each probe touches one terminal at a time. 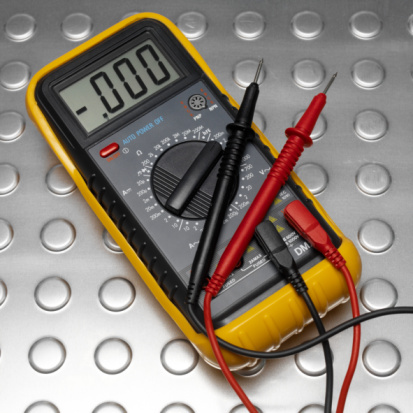 Note that the readings on your ohmmeter for each probe should be less than 1 ohm. Touch one of the ohmmeter's probes to a magnetron's terminal, while at the same time touching the other probe to the magnetron's metal housing. This time, though, have the ohmmeter set to the highest resistance scale. Do not allow the probes to touch one another. Record the reading from the ohmmeter--which should be infinity, if the magnetron works. Cheryl Waters Likins is an analyst and writer. Likins obtained a master's degree from Seton Hall University and Bachelor of Science from Upsala College. She completed doctoral-level studies in biomedicine at the University of Medicine and Dentistry of New Jersey. She has been a freelance writer since 2007. Likins' work appears online at Tesi.com (Italy), GolfLink, Trails, eHow, and other publications.